With its sporty powertrains and innovative design, the new Mercedes-Benz C-Class boasts a driving experience like none other. Its versatile performance delivers thrilling power and smooth cruising with equal aplomb, and options like the plug-in hybrid engine in the C 350 e give you incredible efficiency for your money. Read on to see some of the highlights! This sporty powertrain delivers an impressive 241 hp, which, when combined with the 9-speed transmission, takes you from 0 to 60 MPH in just 5.8 seconds. This innovative automatic transmission allows for smoother shifts and sharper performance while putting all the power in your hands. Dial in exactly the ride you want with this feature, which lets you choose modes like Sport and ECO that adjust a range of parameters to deliver more thrills or efficiency. This available feature takes suspension to the next level, combining self-leveling tech with multimode functionality for an impressively smooth ride. Get Behind the Wheel of a Mercedes-Benz C-Class Today! 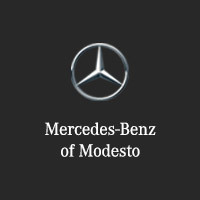 The performance of the new Mercedes-Benz C-Class really needs to be felt to be believed, and you can check one out for yourself right here at Mercedes-Benz of Modesto. We offer a diverse range of C-Class models with stunning interiors for you to choose from, and our flexible financing options make it easy to purchase the one you want. So compare the C-Class against the competition, and then contact us online to get started!